Pin It Now! 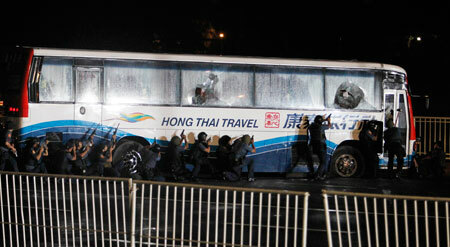 Last night, 8 tourists from Hong Kong were killed after a disgruntled former Policeman took a tourist bus hostage. I am not going to go over the details. For me as a Filipino, it was so disheartening and it was like they killed a part of us when we found out that 8 of these tourists perished in this ordeal. 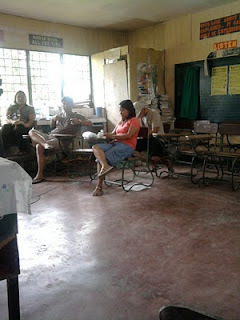 Filipinos in Facebook were very active in posting their sentiment that I want to personally comment on it in my blog. One posted this "Vote for Duterte for President." I can't help but guffaw. Seriously? Yes, I know that Mayor Rodrigo Duterte's legacy was ALSA MASA and eventually the city that was once dubbed as the killing fields of the south now became a epitome of a peaceful city- Davao City. But what happened here in Davao cannot be attributable to one person only. There were citizens who had enough of these bandits that they became vigilants and looked after one another and thus peace was restored to this city. He is a good leader but a leader can only do as much. Couldn't he? In relation to what happened yesterday, I don't think an iron handed leader could have stopped that. What we needed was a negotiator and a President who was well aware that something like this could affect international relationships. 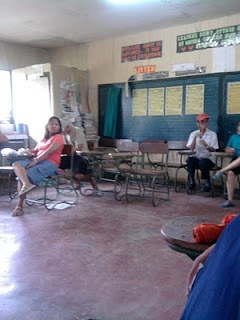 I was in fact very disappointed with Pnoy especially after he made the excuse on why he didn't send a negotiator. He should at least issue an apology to the HK government. If there was anything he said on his press conference last night that I totally agree with, it was how he said the media also made mistakes. For me, I think the media should share a large part of the blame. It was really annoying how every move was being documented and broadcast at the same time that the perpetrator gets the advantage of knowing the police's moves because he had TV and a radio inside the bus. It was like watching a basketball game or listening to sports commentators give a blow by blow account of the incident as it happens. If the perpetrator hadn't seen on TV that his brother was being held and dragged by the Police, it wouldn't have probably ended this way. There are a lot of people who had commented that the sniper had a clear shot of Mendoza more than once. They could have shot him. He had demanded food, the food could have been injected with valium or whatever drug that could calm the nerves, it would have made a difference. When the driver ran out of the bus stating that everyone was dead, they should have thought about how he just got traumatized by this event thus his statement was not during lucid interval. When finally the police stormed the bus, it was a miscalculated risk. I myself am mourning for the lost of this people and lost of faith in our government. When Pnoy was elected the future seemed a bit brighter than it was yesterday but then just as fast it appeared, it had faded. It's a shame that he lacked the initiative. Another disappointment would be his administration's plan to take into effect another two years of schooling- WTH???! Have they seen the sorry state of our public schools? Have they seen the number of teachers going out of the country to teach in other neighboring Asian countries because the salary they get there is 5x more than what we give teachers here? is this room conducive for learning? I've read Patricia Evangelista's column the other Sunday and I couldn't agree with her more. This is just a ridiculous idea for a government who are way over-budget. If they say that they would get the money from corrupt officials then they first must come up with a program to catch those crooks and get those money before they jump to step two. Ok, I think I've said enough for the day. I'll just leave this as it is. Though sometimes, you just want to forget these problems and just talk about make-up and vanity the whole day it's just something I can't do because this is reality. Everyday there are a lot of thing happening to our society that affects each and everyone of us. My condolence to the family of the victims and also may this incident serve as a lesson for all of us and hopefully and most especially to those people in the authorities and government that in every mistake they make, our National pride is always at risk.